Zogics Pet Dog Grooming Supplies Review - Are They Worth It? Grooming your dog at home can save time and money. It will also be much less stressful for your dog. If you're thinking of doing some home grooming, you need to have the right supplies. Zogics Pet Dog Grooming Supplies are formulated to be safer and healthier for your pet than other similar products. When you’re buying grooming supplies for your pet, you need to be mindful of their ingredients. This is especially important if your dog has dry and/or sensitive skin. 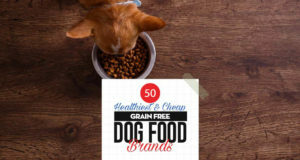 Will the products be safe for your dog? Will they aid in the overall health and well-being of your pup's skin and coat? When shopping for grooming products, you need to look for gentle ingredients that won’t dry out the skin and leave the coat dry and brittle. The fragrance should come from natural ingredients, not artificial perfumes. Of course you want Fido’s coat to be shiny and clean, but you can’t sacrifice his health for that! Zogics Pet Dog Grooming Supplies are designed to be safe for pets and their owners. After all, these products will be touching your skin too. Zogics Pet uses natural, plant-based cleaners and organic ingredients that help to soothe and calm itchy, irritated skin. All of these products are made with organic oatmeal and aloe to soothe dry, itchy, irritate skin. They have a soft scent that is provided by almond and vanilla essential oils. It's not an overpowering, perfumey odor like that of grooming products made with artificial fragrances. These products are all made with natural, plant-based cleaners. All Zogics Pet dog grooming supplies are free of parabens, phthalates, EDTA, DEA, PEG, gluten, dyes and soaps. As you will see in my video review above, the shampoo is made with a quick rinse formula. This is a great feature to have in a shampoo, especially if you have a dog that gets agitated in the bathtub. If you're not familiar with waterless shampoo, it's exactly what it sounds like. It should not be used in replacement of regular baths. Waterless shampoo has a no-rinse formula, so it cleans and conditions the coat without the use of water. This is another great product for dogs that are less than thrilled about bathing. The photo above shows the size of Zogics Pet dog grooming supplies grooming wipes compared to our Labrador. They measure 5″ x 7″ and are ideal for all size pets. Zogics Pet Detangling Spray is formulated with Moroccan argan oil. In my video review you will see that it leaves the coat soft, shiny and moisturized. I love the way my dogs' coats feel after brushing this spray through their coat. Compared to cheap grooming products, Zogics Pet dog grooming supplies is definitely a healthy and safe alternative. They don't contain the common chemicals found in other shampoos and grooming wipes, and there are no artificial ingredients in them either. However, the higher quality ingredients used to make these products also come at a higher price. While you can purchase cheap dog shampoo and conditioner for less than $5 per bottle, you also have to remember that you'll get what you pay for. The shampoo can be purchased on Amazon for $14.95 for a 16-ounce bottle. The waterless shampoo retails for $14.95 for a 7.1-ounce bottle. You can buy a 50-count container of grooming wipes for $14.95 and an 8-ounce bottle of detangling spray for $12.95. While Zogics Pet dog grooming supplies are more expensive than lower quality options, they are still affordable on any budget. Also, remember that these products will last for a long time – probably a few months. Next articleSenior Dog Adoption: Should You Be Worried?